This is the story of Edith Warner, who lived for more than twenty years as a neighbor to the Indians of San Ildefonso Pueblo, near Los Alamos, New Mexico. She was a remarkable woman, a friend to everyone who knew her, from her Indian companion Tilano, who was an elder of San Ildefonso, to Niels Bohr, Robert Oppenheimer, and the other atomic scientists who worked at Los Alamos during World War II. Peggy Pond Church (1903-1986) was born in Watrous, New Mexico and lived on the Pajarito Plateau as a child. In 1922, Church left New Mexico to attended Smith College. Returning home two years later, she lived at the Los Alamos Ranch School, which was founded by her father. Church moved from Watrous to Taos, New Mexico, then to Berkeley, California, before finally settling in Santa Fe in 1960. "A literary gem. 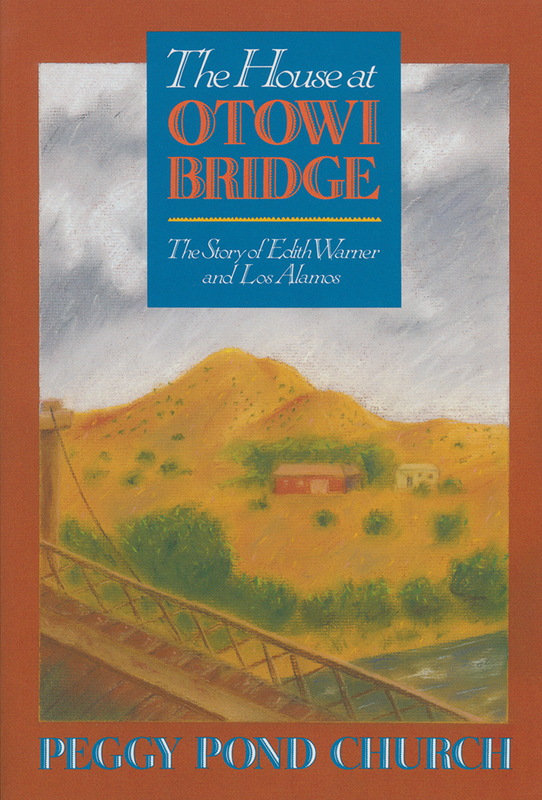 The romance of Los Alamos, Miss Warner, and the Plateau Country will not be forgotten easily. Recommended most heartily."